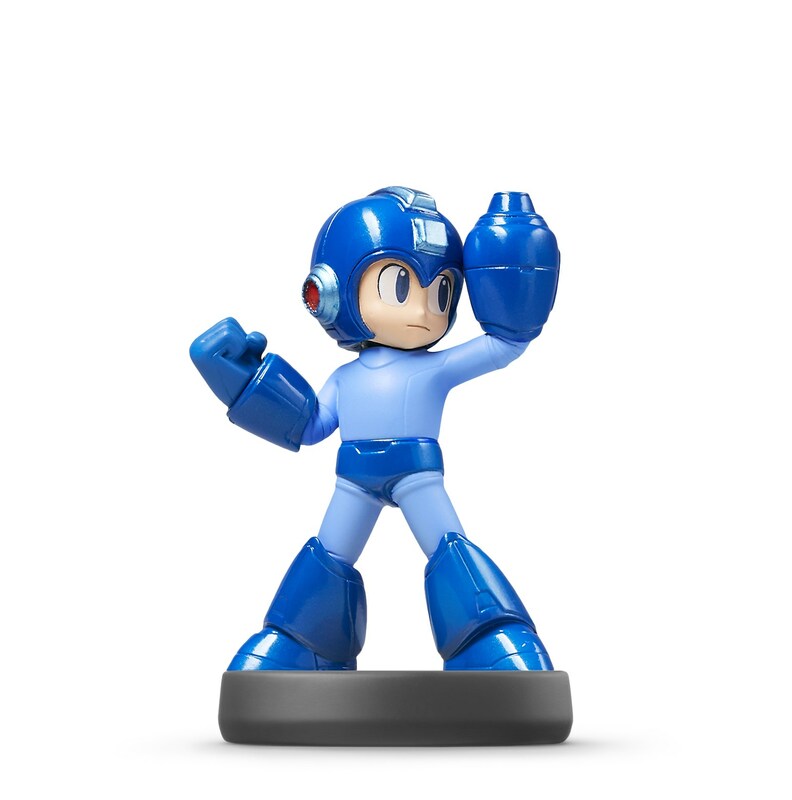 We're already getting Mega Man (woo!). He looks great. Oh man, way too many. Everyone. Off the top of my head CommanderVideo would be nice. Rayman just to see how ugly it would be with all of those plastic parts holding together his floating limbs. I'd take Shovel Knight. An old-school Pac-Man wouldn't be shabby, I suppose. Third party developed/first party published characters from Cing would probably make me cry tears of joy. Ashley Mizuki Robbins or Kyle Hyde would be heavenly, even though they're so niched they'd have no purpose as Amiibos. Why wouldn't we get Sonic? I assumed they were going to do all of the Smash characters right? Unless some aren't going to have their own CPU fighter counterparts? 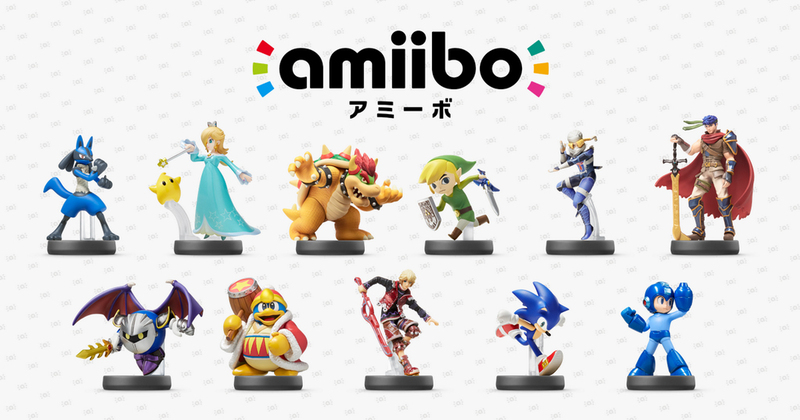 I don't know that I'd be interested in many third party amiibos. The thing that works with a Link amiibo is that there could be bonus Zelda content in a ton of games. I don't really expect the same out of third parties. From just a looks standpoint? Mega Man X and Zero would be awesome. Proto Man as well. I'll take a Bayonetta Amiibo. Actually two. One with long hair, one short. Did Mario make this thread title? I hope these are sturdy enough for kids. I've heard they don't feel THAT durable. Simon Belmont. Come at me. Yuck! Wouldn't want an amiibo of that nonsense...! 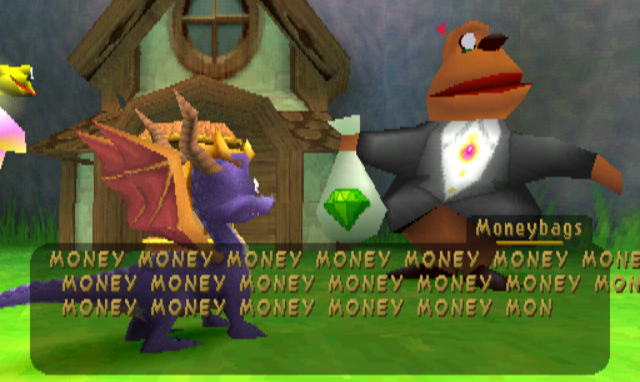 Moneybags, because it would be supremely ironic and he perfectly represents everything amiibo is about. As opposed to them releasing a new business model with the intention of losing money. Since he's a Spyro character, wouldn't he work better as a Skylander? Damn, beaten to the punch. I'm going to go ahead and pretend that the Mario-esque title for this thread was totally planned. I'm pretty sure money bags is going to be a gen 7 a Pokemon, next to the garbage bag and the ice cream cone. I think Dragon Quest beat it to the punch on this one! 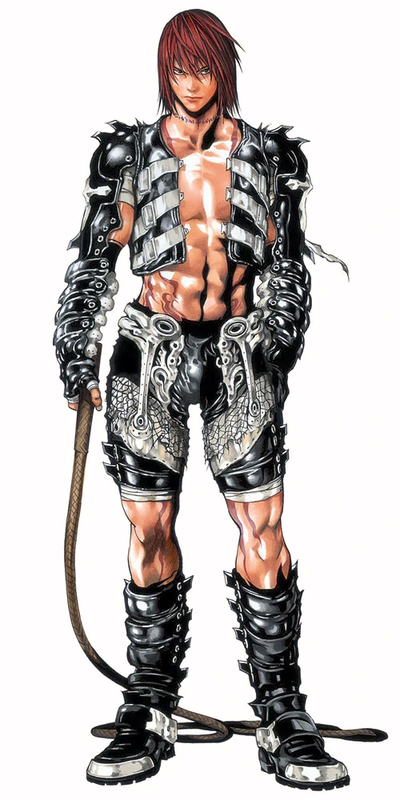 THATS SIMON BELMONT?! WHAT THE F.
@PogueSquadron Wait, you're considering the worth of Amiibos based on what they can do in games?